One of grandest Art Deco buildings in Lower Manhattan is 20 Exchange Place, the old City Bank-Farmers Trust Building (now a rental apartment building). The building was designed by the firm of Cross & Cross and erected in 1930, just after the merger of the National City Bank of New York and the Farmers Loan and Trust Company. 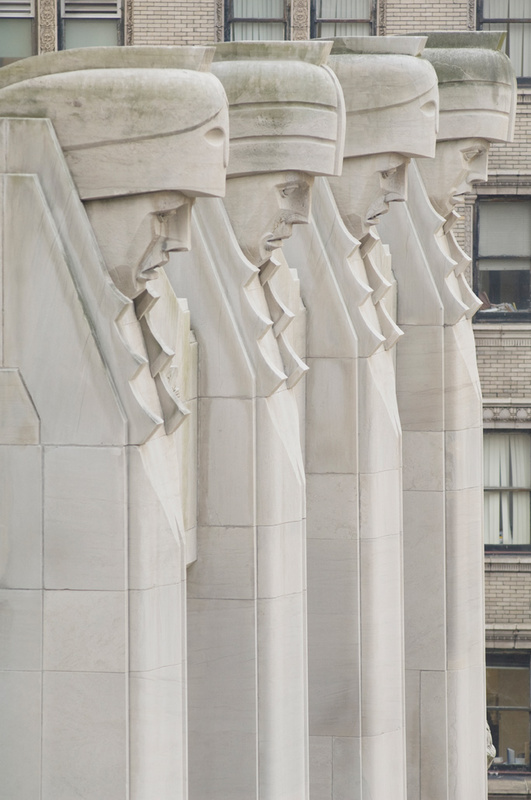 Though it can be hard to see from the street, perhaps the most notable decorative feature of the building is the array giant heads that adorn the tower at the nineteenth floor (right). These fourteen figures are the "Giants of Finance," vaguely based on Middle Eastern models. Much more discernible from the street are the eleven coins that flank the entryway to the building. Each represents a country with which the bank did business, including at the bottom left an American Indian-head nickel prominently displaying the building's date. Above the nickel is an Italian 20 lira coin from 1927, when Italy was firmly under the control of the Fascists and Il Duce, Benito Mussolini. 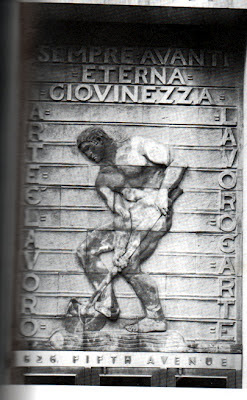 On the left, the coin features a Roman fasces, the bundle of sticks with an axe that was a symbol of the ancient Roman Republic and co-opted by the Italian Fascists. 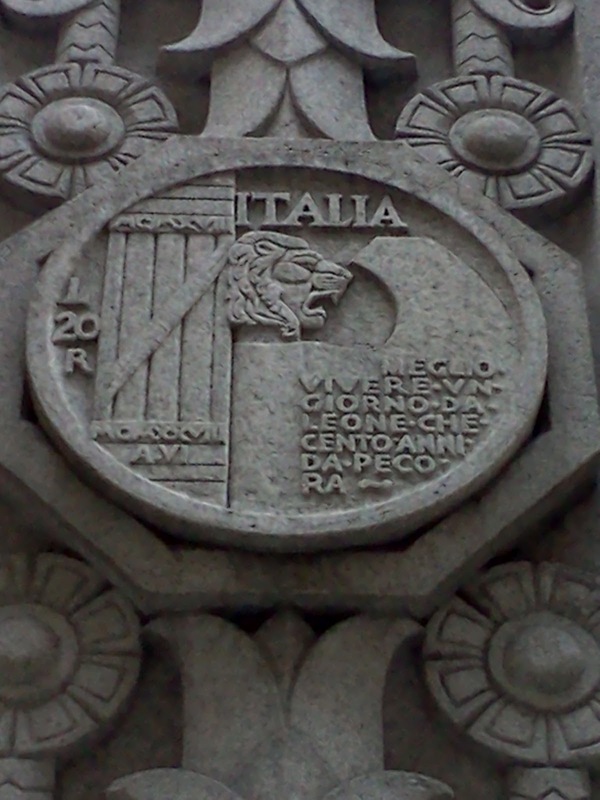 At the lower right is carved "Meglio Vivere un Giorno da Leone Che Cento Anni da Pecora" ("It is better to live one day as a lion than 100 years as sheep"), an older proverb that Mussolini had taken as his own. On December 12, 1941, just five days after the bombing of Pearl Harbor, Piccirilli's sculpture was boarded over and in 1965 it was finally replaced with the current piece, "Italia," by Giacomo Manzu. 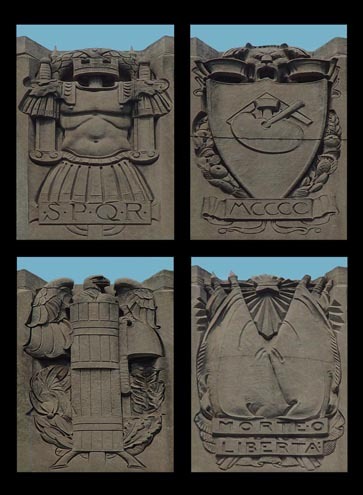 However, all Fascist imagery was not erased: at the top of the building are Leo Lentelli's bas relief sculptures of the "Four Periods in Italian History," which depict ancient Rome, the Renaissance, the Unification of Italy, and Fascism (again, symbolized by a fasces). As you read this, the minutes are ticking by -- both in real life and, perfectly in sync with real time, in Christian Marclay's artwork The Clock. A massive project, The Clock is a 24-hour film collage that takes stills from thousands of films that feature the time to create a seamless, hypnotic journey through a day. Marclay's assistants scoured movies, from classic films to recent Hollywood blockbusters, to find any reference to a character speaking the time, or a clock or a watch displaying the time. Marclay then edited these together to create The Clock, in essence mixing cinematic moments both banal and dramatic into a meditation on how our lives are inexorably governed by the passing of time. We visited The Clock multiple times last weekend and, being true New Yorkers, kept looking for moments that captured our city on film. It is surprising how infrequently classic views of New York appear. In part this is because the bulk of the shots are indoors (where there are more clocks), but is also due to the fact that New York doesn't really have iconic clocks the way some cities do. (The clock in Grand Central does make some appearances; it is probably the most famous public time piece in the city.) By contrast, barely a few minutes goes by without a shot of London's Big Ben, which must appear in countless films. Often, you can tell that it is just an establishing shot in the background, but since it is always displaying the time, Marclay was able to make use of it dozens of times. At Lincoln Center, The Clock is on display until August 1, but it only runs continuously Friday at 8:00am to Sunday at 10:00pm. During the week it is open 8:00am-10:00pm and it is closed Mondays. If you and see any great New York City shots, let us know! For example, we didn't manage to make it to the theater at midnight, but we'd be curious is Cary Grant is at the top of the Empire State Building waiting for Deborah Kerr in An Affair to Remember. The Ongoing Saga of "Civic Virtue"
One of our most popular recent posts was an exploration of Frederick MacMonnies's statue Civic Virtue, which once stood in front of City Hall in Manhattan, but is now falling apart near Queens Borough Hall. The New York Daily News has long followed the statue's trials and tribulations, and published an interesting piece yesterday about the "secret" plan to move the statue to Green-Wood cemetery. 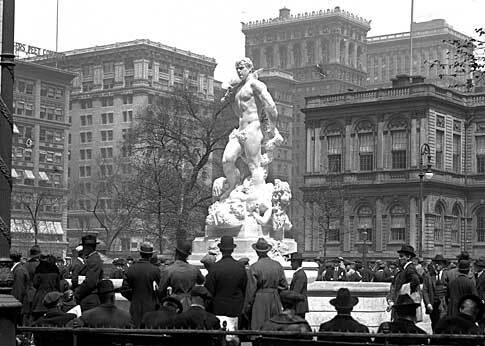 You can read our original post about Civic Virtue here and the Daily News coverage here. 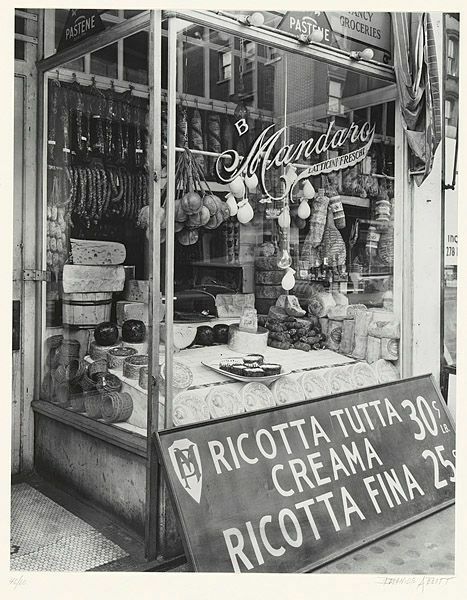 Two exhibitions currently on view -- "Lunch Hour NYC" at the New York Public Library, and "Beer Here: Brewing New York's History" and the New-York Historical Society -- provide wonderful explorations into the central role that food and drink have always played in the city. 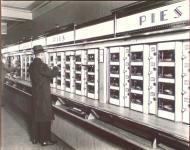 For many nostalgic New Yorkers, the highlight of the show will be the section devoted to the Automat. While film clips from movies set in Automats roll on the monitor, visitors can explore actual pieces of Automat memorabilia, including old Horn and Hardart vending machines. Other highlights include a display of vintage lunch boxes and samples from the library's extensive menu collection. There are also reminders of how recently social mores were different: a photo from 1969 shows Betty Friedan leading the National Organization of Women in a protest at the Plaza Hotel's venerable Oak Room, which would not admit women at lunch. When you are done with lunch, why not head uptown for some libation? "Beer Here," at the New-York Historical Society chronicles the long history of brewing in New York City from the Dutch Colonial era to the present. Using maps, paintings, and a wide array of beer ephemera from its collection, the N-YHS paints a vivid picture of how central beer has been to the city's development. For much of the city's early history, beer was safer to drink than water -- one out of every four building in New Amsterdam had a beer tap in it -- and by the 19th century, New York had become one of the hardest drinking cities in the country. The immense volume of alcohol imbibed in New York was one of the leading causes of the growing temperance movement, which ultimately led to Prohibition. The exhibit has a fascinating section on the so-called "noble experiment," which -- in New York, at least -- only led to increased consumption. About halfway through the exhibit, you may find yourself inevitably craving a beer. Have no fear -- the exhibition doesn't exit into a gift shop, but rather into a saloon that has been set up in the museum to serve an excellent rotating selection of American craft beers. "Beer Here" runs until September 2, 2012. Happy July 4th, everyone. 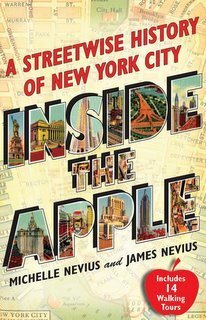 As readers of Inside the Apple and this blog know, today is just one of many days that holds a claim to being America's Independence Day. As we've blogged before, July 2 is probably the day we should celebrate the holiday, but we'd also make a strong case for July 9. 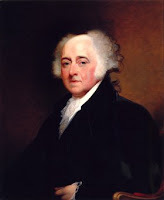 Did you also know that on America's fiftieth birthday, July 4, 1826, both Thomas Jefferson and John Adams died? Supposedly, Adams's last words were, "Jefferson survives," even though Jefferson had died a few hours earlier. A century ago today, on July 2, 1912, Kate Pulitzer, the widow of newspaper publisher Joseph Pulitzer, traveled to Columbia University to lay the cornerstone for the world's first school of journalism. Pulitzer is best known for his stewardship of the New York World, which he bought from Jay Gould in 1883. One of the World's biggest early successes was spearheading the stalled fundraising campaign for the Statue of Liberty. In the 1890s, his biggest rival was William Randolph Hearst, who ran the New York Evening Journal; their particular brand of sensationalized, "yellow" journalism made the World and the Journal the highest circulating papers in the country. The World's peak came during the Spanish-American War and the frenzy over the sinking of the USS Maine. Pulitzer had first proposed a school of journalism in 1892, when Columbia University was planning its relocatation to Morningside Heights under the guidance of President Seth Low. Low, who was cultivating Pulitzer as a donor, was interested in the publisher's money but less interested in a full-time journalism program. 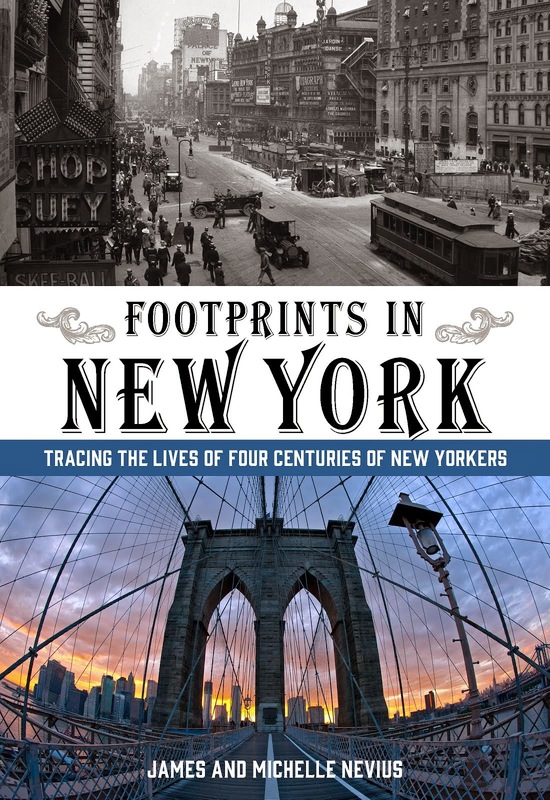 After Low resigned from Columbia's presidency in 1902 to become mayor of New York, Pulitzer broached the idea with his successor, Nicholas Murray Butler. Butler was much more receptive, and quickly things began to fall into place to have a school ready to open in 1903. Pulitzer, however, sabotaged the idea by wrestling with Butler over the school's advisory board. When Pulitzer insisted that the presidents of Harvard and Cornell universities have a seat on the board, Butler demurred. 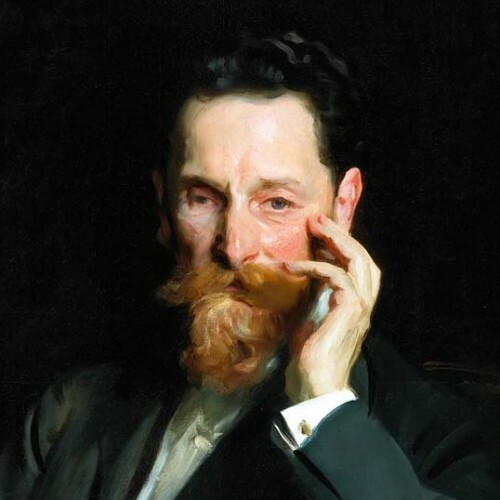 Ultimately, Pulitzer decided that Columbia would have $2 million to establish the school and the journalism prizes the now bear his name--but only after his death. Pulitzer died on October 29, 1911, and plans were soon set in motion for the school to open the following year. For the first year, classes met in other academic buildings; the journalism building--today called Pulitzer Hall--that Mrs., Pulitzer laid the cornerstone for a century ago, was not ready until 1913. A time capsule was buried behind the cornerstone containing a copy of the first course catalog along with copies of the papers whose publishers did end up on the school's advisory board: the World, the Sun, the Brooklyn Daily Eagle, and the Times.